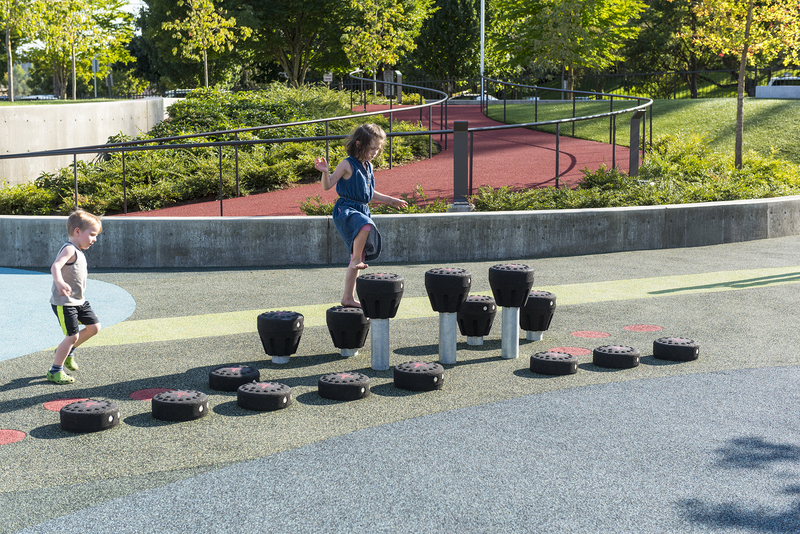 Developed in conjunction with the Salem Hospital Outpatient Rehabilitation Center, the “Let’s All Play” Adaptive Playground serves as both a public all-abilities playground and a working pediatric and adult therapy setting for the Rehabilitation Center. 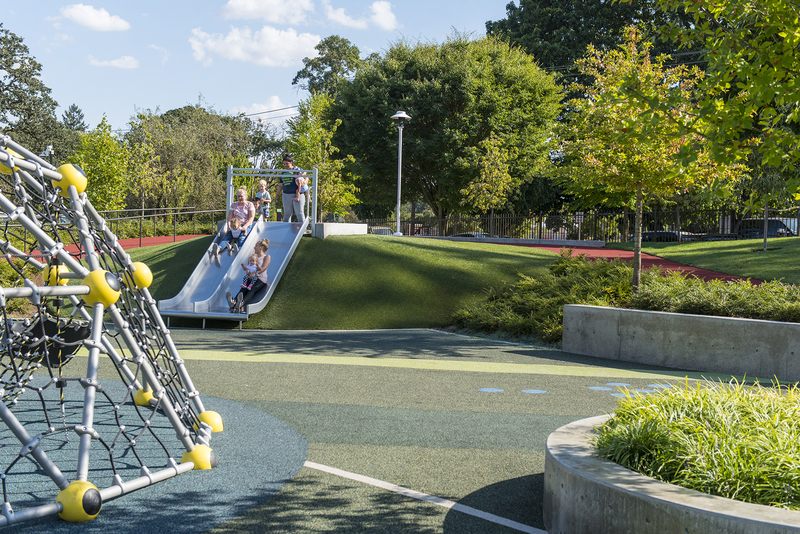 Working closely with Rehabilitation therapists, children and families, all elements of the Adaptive Playground were designed to support measurable cognitive, social, behavioral and physical therapeutic value in a safe and welcoming environment open to the public. 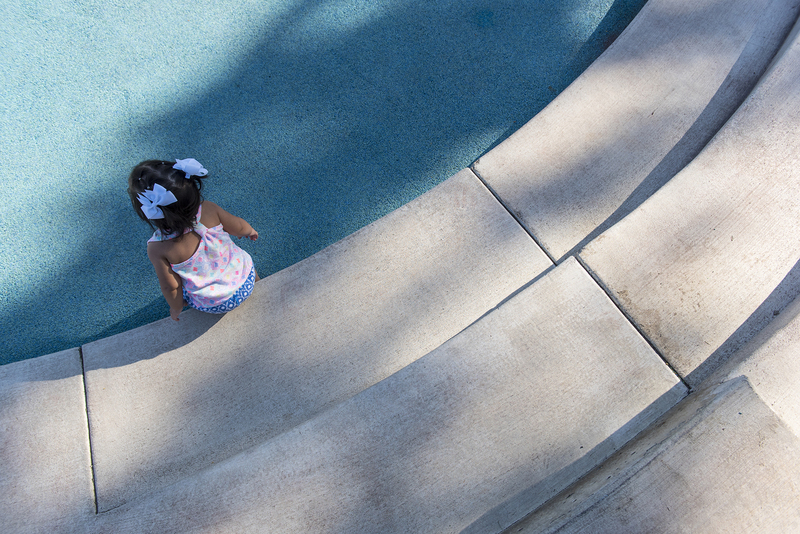 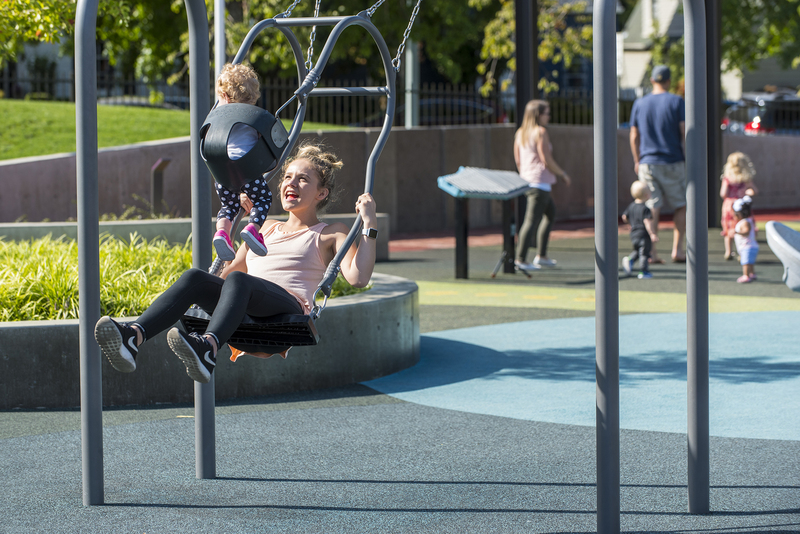 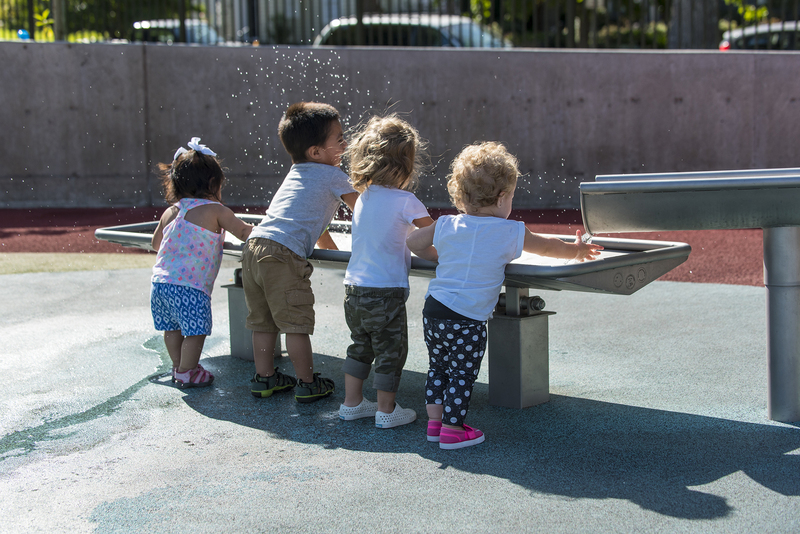 Customized play elements include a climbing structure, accessible slide, specialized swings, spinners, jumping podiums, sensory elements and collaborative water play. 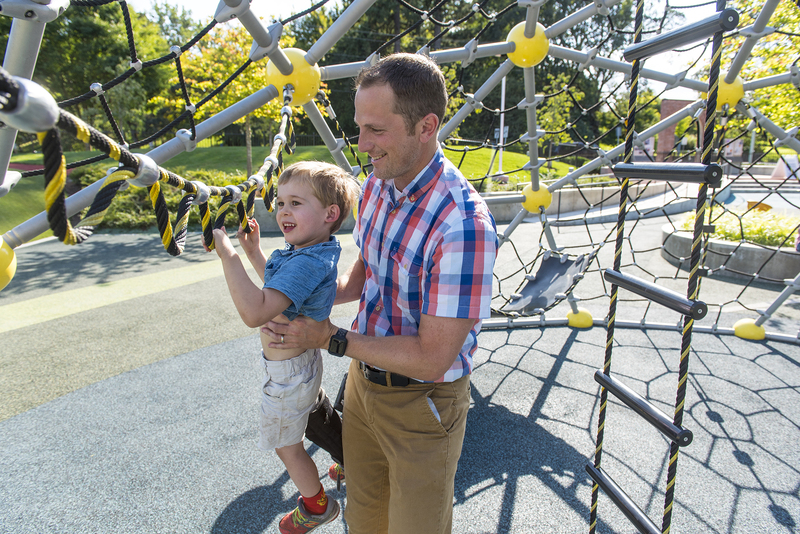 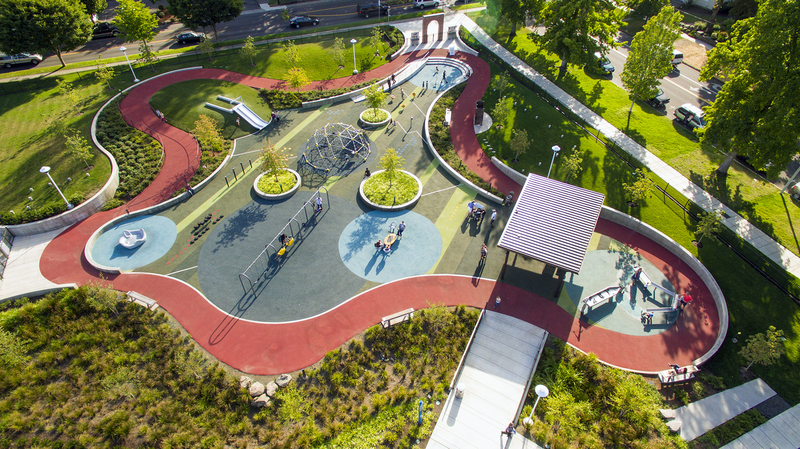 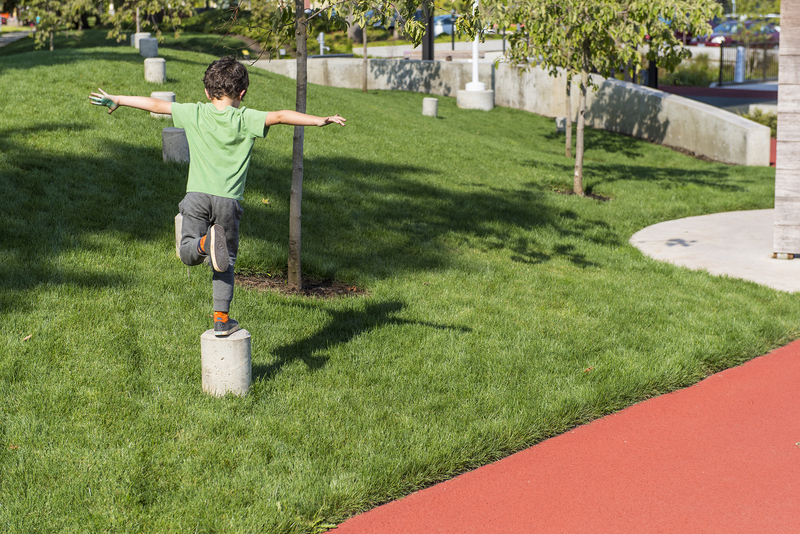 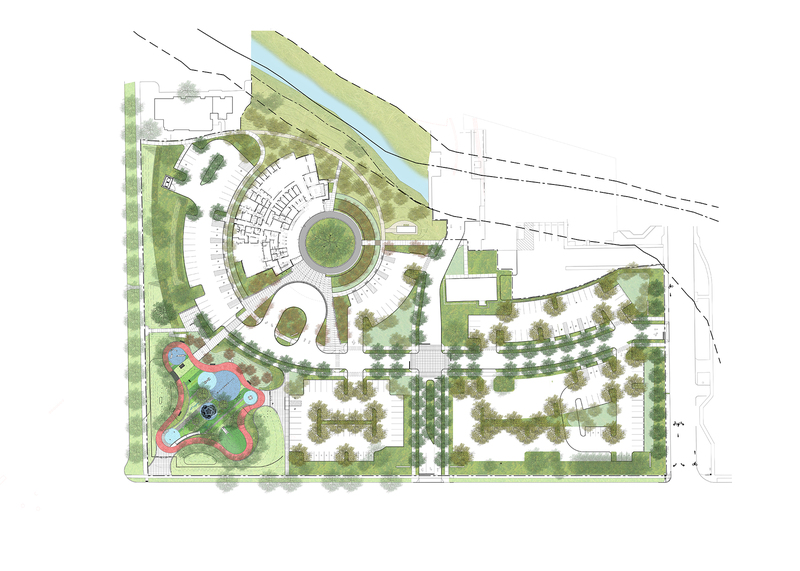 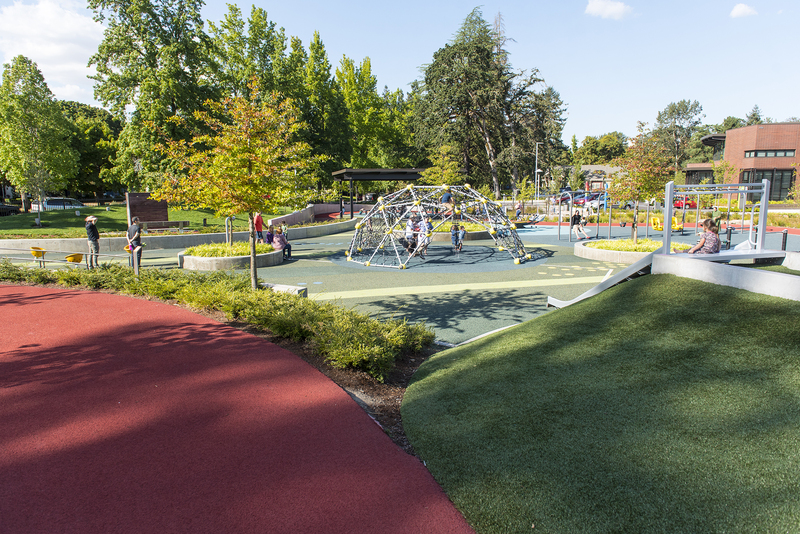 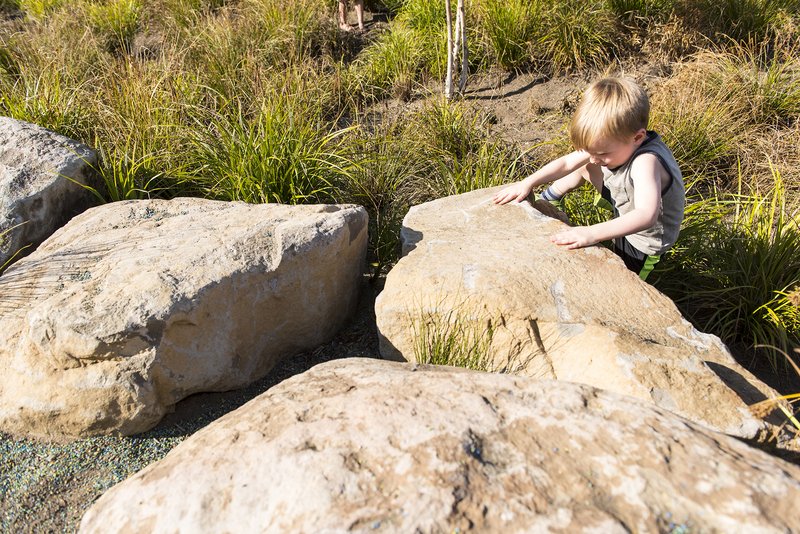 A serpentine track surrounds the playground, providing an accessible circuit for patients to build motor skills. 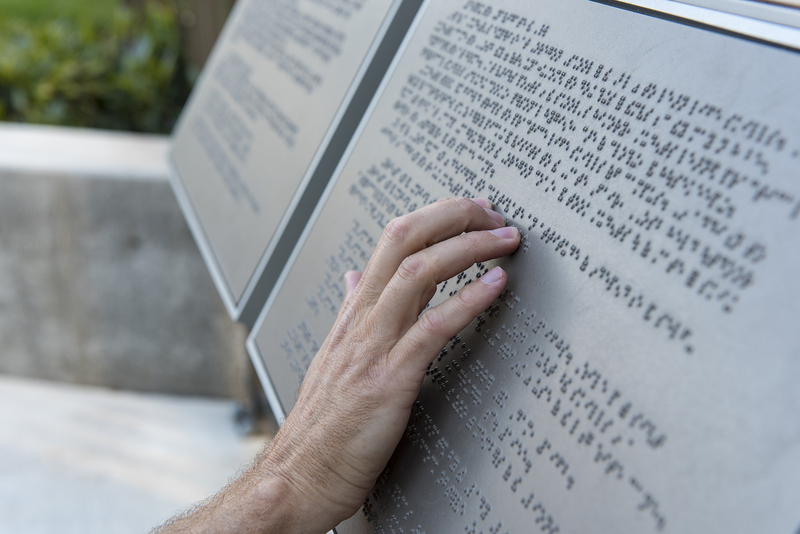 A brick arch and interpretive panels commemorate the Oregon School for the Blind that once occupied the site. 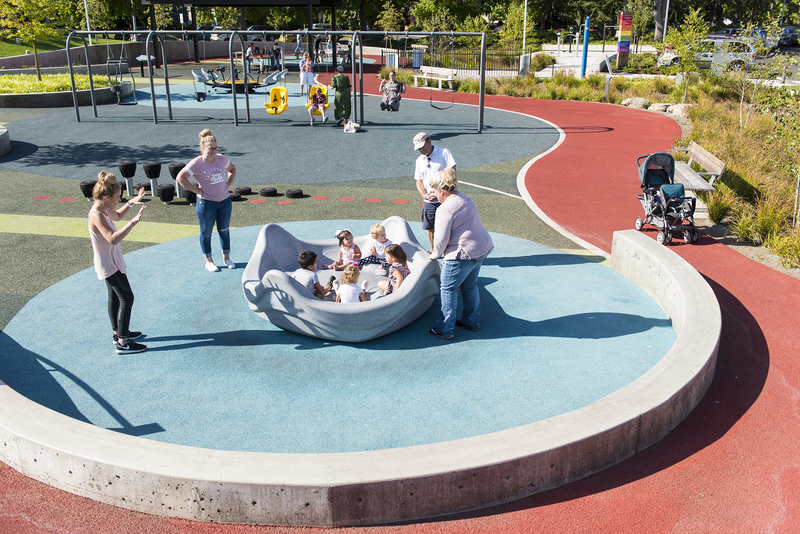 The Let’s All Play adaptive playground illustrates the unique value of integrating inclusive and therapeutic elements within a public playground setting, adding social and cognitive challenge, increasing motivation, providing inclusiveness and creating a positive learning environment for all.